The President of Ukraine Petro Poroshenko issued a decree on stripping former president of Georgia and ex-governor of the Odessa region, Mikhail Saakashvili, of his Ukrainian citizenship, according to the website of the State Migration Service. Mikhail Saakashvili left the governorship of Odessa last autumn and since that time he sided with the opposition and severely criticized President Piotr Poroshenko. In his home country of Georgia criminal cases have been brought against him. The revocation of Saakashvili’s citizenship was also reported by the media company “Country.ua”, which is critical of the authorities in Ukraine, citing a source in Poroshenko’s administration. 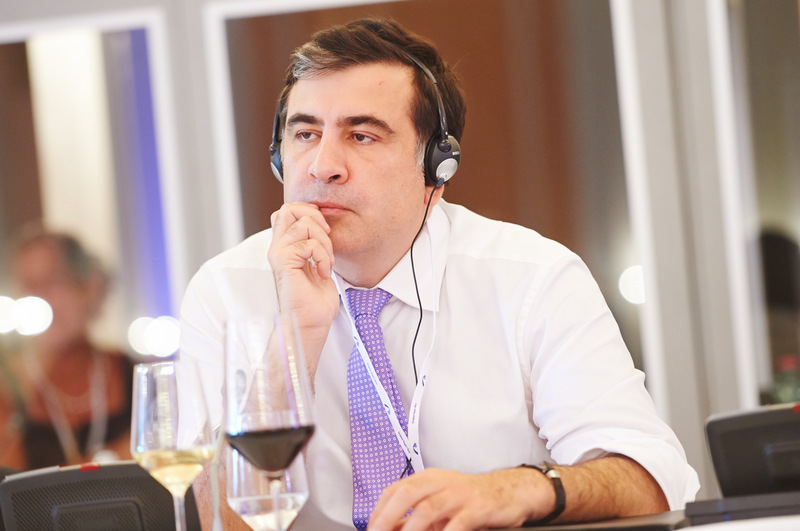 Mikheil Saakashvili, former president of Georgia and ex-governor of the Odessa. Poroshenko signed a decree on conferring Ukrainian citizenship on Saakashvili on May 30, 2015. On the same day he appointed Saakashvili head of the Odessa regional administration. In the post of Odessa governor, Saakashvili clashed with local elites and made harsh statements, including to Poroshenko’s administration, accusing the president’s team of corruption. On November 7, the former Georgian president announced his resignation as head of the Odessa region administration and Poroshenko signed a decree on his dismissal two days later. Saakashvili also lost the post of freelance adviser to the president of Ukraine. “Odessa will develop only after Kiev is liberated from corrupt officials who directly patronize banditry and lawlessness, including in the Odessa region, so in this situation I decided to resign and start a new stage of the struggle,” Saakashvili said. Saakashvili was president of Georgia from 2008 to 2013. After losing the election, he moved to Ukraine. Georgian authorities are now seeking Saakashvili’s extradition to Georgia. However, Saakashvili’s extradition to Georgia was hampered by his Ukrainian citizenship. “According to our constitution, it is impossible to extradite him to another country, but we have full contact with Georgian colleagues and are ready to answer all their questions,” said Yevgeny Enin, deputy general prosecutor of Ukraine in June. On July 25 Saakashvili wrote on Facebook that he was in the United States. Deputy of the Verkhovna Rada of Ukraine Sergey Leshchenko believes that the revocation of citizenship should prevent Saakashvili from returning to Ukraine.